Tonight, Sotheby’s opens it’s doors to the many collectors in town for New York’s spring auction season as well as the art fairs happening simultaneously. After the last two record breaking seasons in both New York houses, it will be worth watching to see if the art market continues to rise. While there are many noteworthy items on the block over the next couple days, there does not seem to be a single blockbuster, such as last spring’s The Scream by Edvard Munch, which sold for a staggering $120 million. 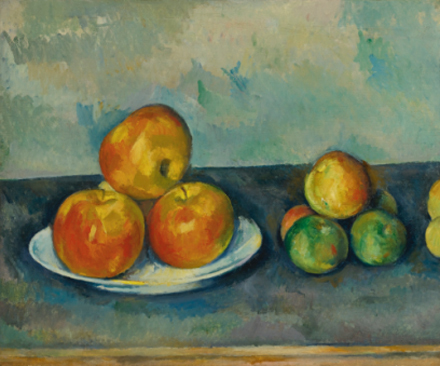 Leading Sotheby’s Impressionist and Modern Art Evening Sale is an exceptional still life painting by Cézanne, Les Pommes, which is expected to achieve between $25 – 35 million. This work is representative of one Cézanne’s most influential series – his subtle yet spatially complex renderings of vibrantly hued fruit still lifes. These paintings were among the first to address the challenge of rendering an illusionary pictorial space, and in effect subverted the desire to do so. 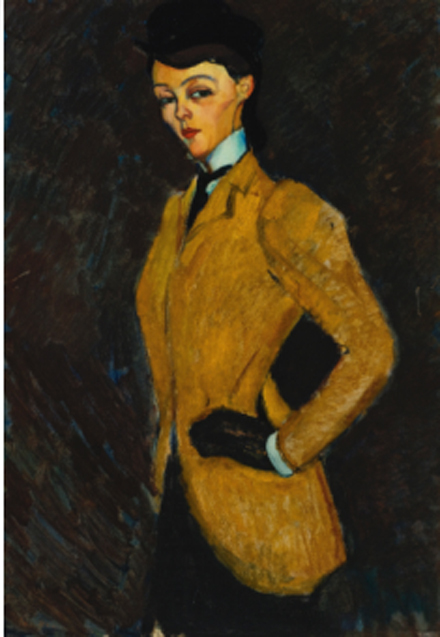 Sotheby’s second highest estimate belongs to Amedeo Modigliani’s L’Amazone at $20 – 30 million. This painting from 1909 is a portrait of Baroness Marguerite de Hasse de Villers – her tall stance with her hand on her hip and her eyebrow arched underscore a dominate attitude. This coupled with riding gear and a brushy dark background enhance the power of this portrait. Both of these lots are from the collection of Alex and Elisabeth Lewyt, the inventor and his altruistic wife, who were important early collectors of European Impressionist and Modern art. Other notable expected sales at Sotheby’s include Picasso’s three dimensional portrait of 19 year old muse Sylvette, which is executed on free standing metal in black and white paint that is punctuated by blue stripes. This sculpture is estimated at $12 – 18 million. There is a energetic and prismatic Fauvist landscape from 1907 by Georges Braque, Paysage a la Ciotat, that is hoped to fetch $10 – 15 million. Additionally, a bronze cast from 1906 of Auguste Rodin’s famous Le Penseur is going to be auctioned for between $8 – 12 million. Sotheby’s is going to be selling a piece from Madonna’s collection to benefit her Ray of Light Foundation, in support of girls’ educational projects internationally, where there is little to no education for females. 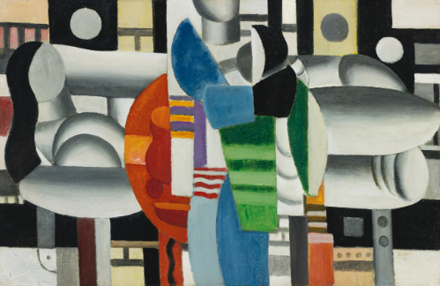 Fittingly titled for such a cause, Fernand Léger’s Trois Femme Á La Table Rouge is expected to garner $5 – 7 million. On Wednesday, at Christie’s Impressionist and Modern Art Evening Sale, 51 lots will be offered against Sotheby’s 71. 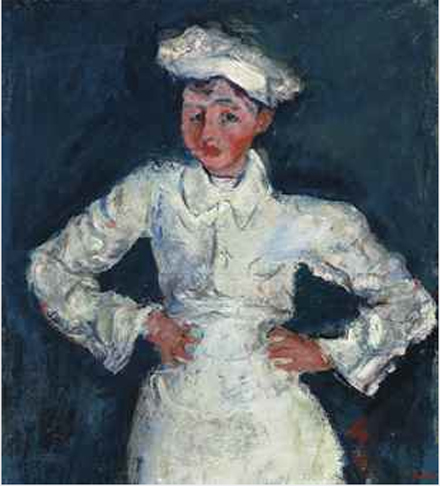 The anticipated star of the evening is Chaim Soutine’s Le Petit Patissier from 1927, and it’s priced at an anticipated $16 – 20 million. This painting is one of the six paintings completed over a decade of French bakers, and it is this specific body of work that propelled Soutine’s rise as a prominent artist. This painting is by far the most melancholy, which can be attributed to the looming dark background from which the young and slightly androgynous chef emerges from, as well as his raised eyebrows and pouting lips. Following in price point is Andre Derain’s painting Madame Matisse au Kimono, from 1905, which is estimated at $15 – 20 million. This exemplary early Fauvist work was painted during a summer that he spent working alongside Henri Matisse. It’s saturated color, graphic patterning, and kinetic brushwork make it a truly spectacular painting by Derain. The third highest estimate belongs to Joan Miro’s Peinture from 1933, which is hoped to earn between $10 – 15 million. 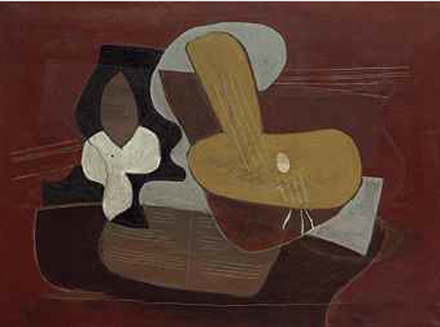 Picasso dominates two of the top ten lots with two very different paintings. Priced at $7 – 10 million, his Femme Assise en Costume Rouge Sur Fond Bleu from 1953 is a quintessential example of the graphic virtuoso and reductive palettes that dominated a great deal of his later work. Picasso’s Mandoline et Portee de Musique, painted in 1923, is indicative of the more mature Cubist works from his early years as an artist – this painting is estimated at $8 -12 million. 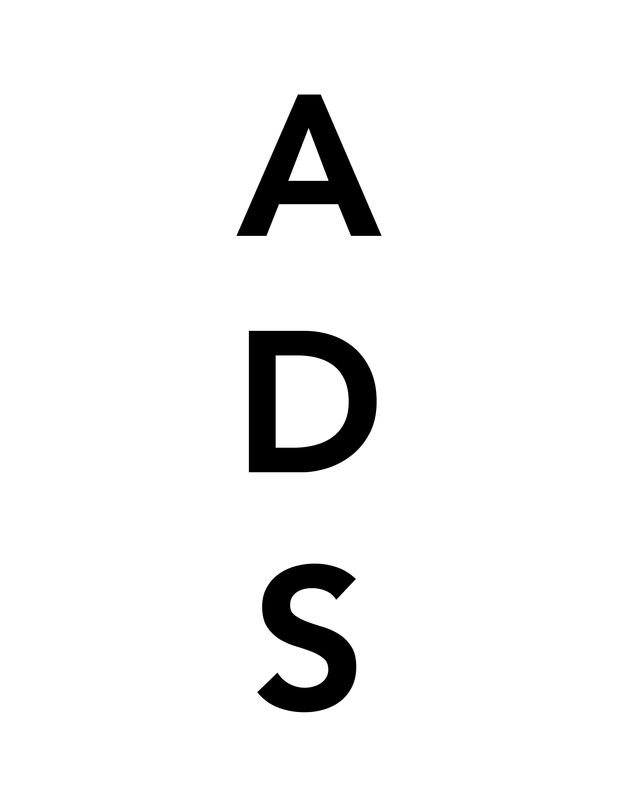 This entry was posted on Tuesday, May 7th, 2013 at 4:12 pm	and is filed under Art News. You can follow any responses to this entry through the RSS 2.0 feed. You can leave a response, or trackback from your own site.